It's the biggest, most giant bivalve mollusc in all the world! And it looks like the biggest, most giant pair of lips puckered up for the biggest, most giant kiss! So just how big and giant is it? 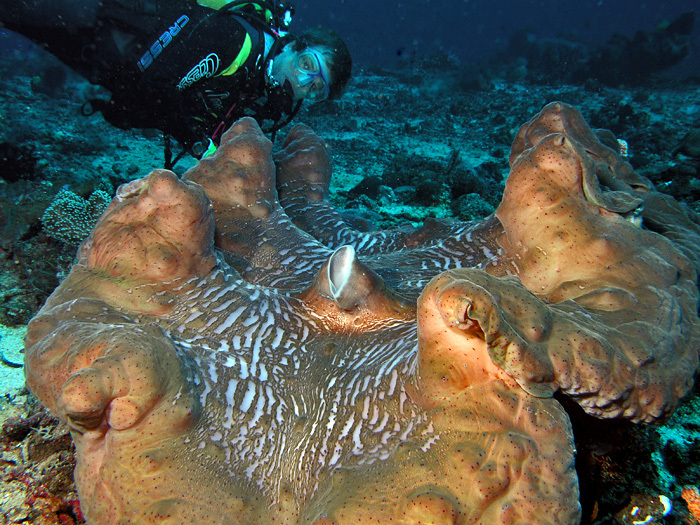 The biggest species of all is Tridacna gigas, one of which was recorded at 1.37 metres (4.5 ft) across. Its shell weighed in at 230 kilograms (510 lb), suggesting a live weight of about 250 kilograms (550 lb). Another one was even heavier. Despite being a mere 1.15 metres (3.8 ft) across, the live weight was estimated at 340 kilograms (750 lb)! I think they call it "heavy kissing". 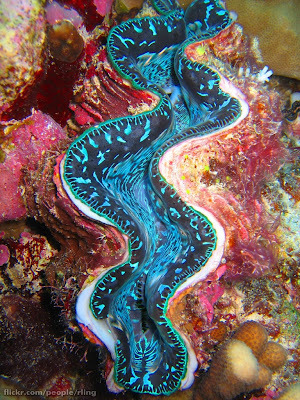 Like most other bivalves, the Giant Clam is a filter feeder. 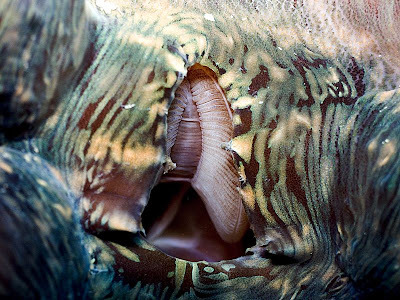 They open up their huge, calcium carbonate shell to expose the beautifully coloured mantle within. Inhalant siphon open wide enough to see the gills within. This is Tridacna maxima, the "Large Giant Clam". Which is hilarious. 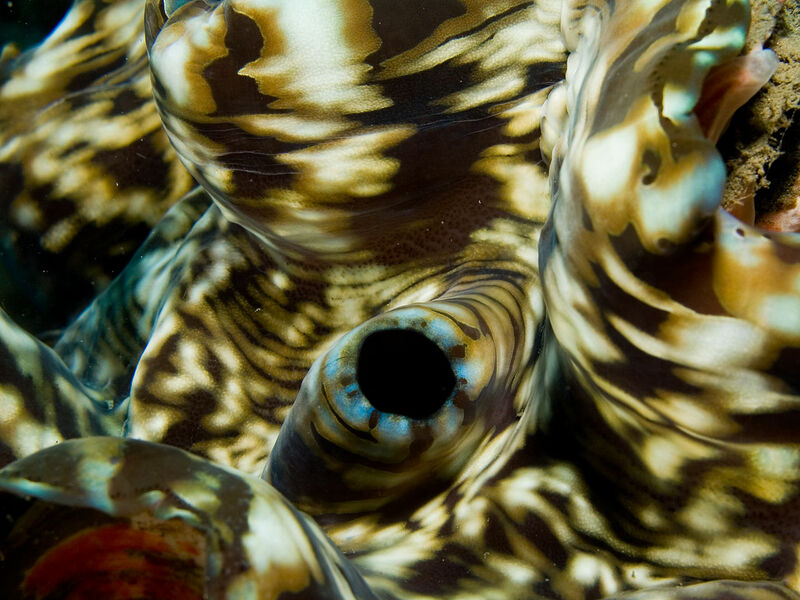 One hole, the inhalant siphon, takes in water for the gills to filter out tiny, planktonic food. The rest is then expelled through the exhalent siphon, which looks like a little chimney. Giant Clams have to keep their shell open for another reason: there's the garden to think about! Dotted around the mantle are clear windows that allow sunlight to get through. This isn't for their own immediate benefit; they're not trying to warm the cockles of their heart. It's actually for the huge amount of single-celled algae that live in their tissue. This algae feeds on carbon dioxide and other products supplied by the Giant Clam, who, in return, gains lots of nutrients right there in their own flesh. Instead of living on the fat of the land, they can live on the fat of their own fat! So much easier! 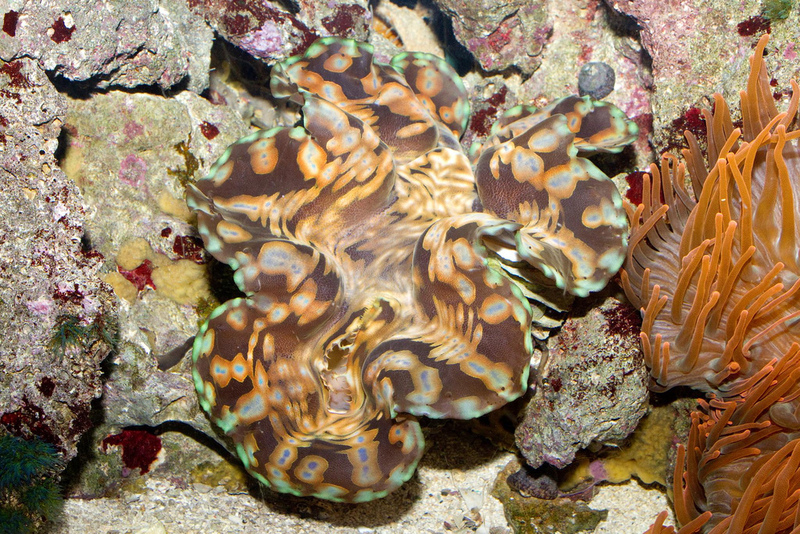 It means they can live well in nutrient poor waters in the Indo-Pacific area. All they need is a good, firm surface to rest on and plenty of sun. Many a sunbather would say the same. But just imagine if cows had a special bit of intestine where they could grow their own grass. All that manure could be stored in there and used as plant fertilizer! Isn't that fantastic? Shouldn't we all stop using the bathroom and instead grow tiny apple trees in transparent segments of our large intestine? 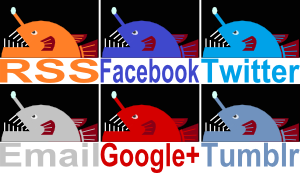 Is this not our inevitable future? I wonder if we could have tiny cows in there, too? 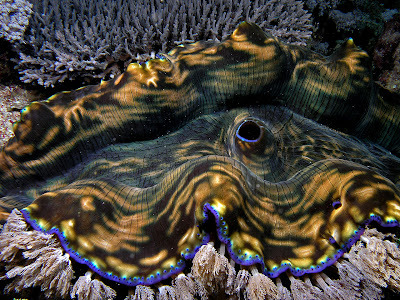 Giant Clams don't eat tiny cows, though they're not at all averse to tiny animals in their plankton. They don't eat big things, though. Some people really need to grasp this. 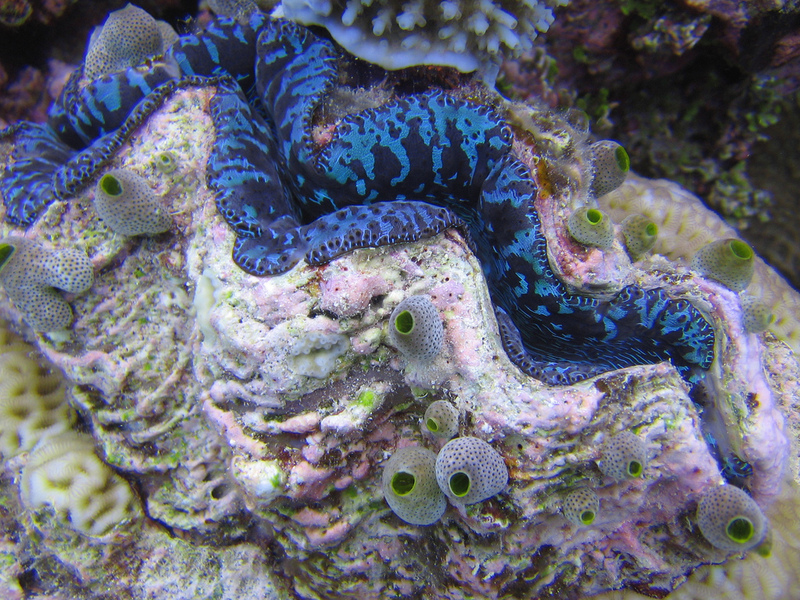 Giant Clams don't eat people! I know, it's a terrible shame but together we can overcome the disappointment and look forward to man-eaters in pastures new. 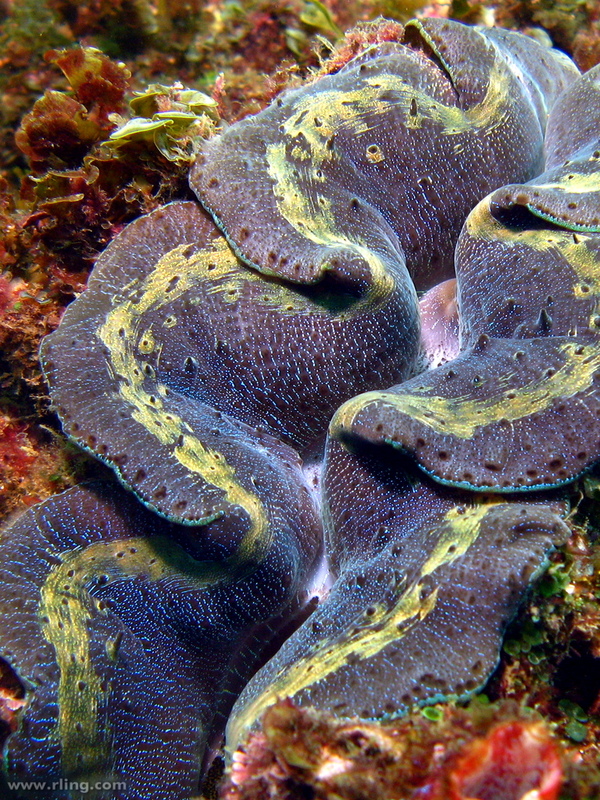 It's true that Giant Clams can shut their shell pretty well, but they can't do it quickly. 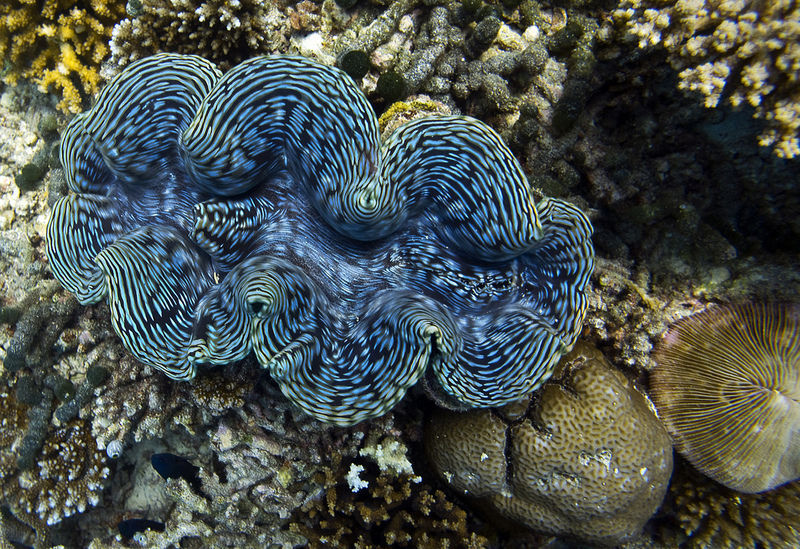 Someone would have to be an utter buffoon to sit there as a Giant Clam slowly closed its giant shell over an arm or leg. That'd be like spending tens of millions of dollars on an incredibly ugly pearl. Biggest pearl in the world, mind. 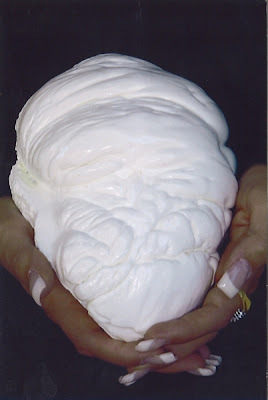 It's called the Pearl of Lao Tzu or the Pearl of Allah. At 24 cm (9.45 inches) in diameter and 6.4 kg (14.1 lb) in weight, it could only come from a Giant Clam. And, since clams don't use mother of pearl (more like one of the three ugly sisters of pearl), it lacks the shiny iridescence we expect from pearls and ridiculously expensive things in general. This pearl is almost like one of those diamonds you get in murder mysteries. The ones with 2,000 years of murder and bloodshed, going from king to queen to the stomach of a goose to yet another king. You know the story. Unfortunately it appears that most of the stories surrounding this pearl are a fiction concocted to increase its perceived value. Including the one where Osama bin Laden was going to buy it for Saddam Hussein. Probably for the best; it would've been a bit much for a first date. Naturally enough it'll take a Giant Clam a while before it's giant enough to make a pearl like that. They actually spend their first few days of life as plankton! So at least they can sympathise with the stuff they eat. Only later do they begin to grow a shell and move to the seafloor to find a nice site to spend the rest of their life, which could be another 100 years. This all occurs after broadcast spawning. That exhalent siphon is used to cast eggs and sperm into the sea and what will be, will be. They may look like a huge pair of puckered lips, but that doesn't mean they'll get up off the floor for a kiss. They're far too comfortable for that kind of effort. Perhaps not soon, but perhaps eventually. Wait, so, if they eat plankton... but they start life as plankton... uh oh. After seeing this monstrosity, I feel like learning diving. "MWAH! Where's my oxygen??" Haha! The things we do for a kiss!